Stephanie’s love of animals began as a small child being raised on a farm with animals of all kinds. Her competitive career started with showing farm animals and horses in 4H and FFA. She began competitive dog showing in 1996, showing in conformation and obedience with her Dobermans and Boxers. From 1994-1996 she attended ProTrain Institute of Dog Training. She graduated as a Master Dog Trainer in 1996. Stephanie began teaching Agility classes for her obedience club in 1997 and now works full-time as an Agility instructor. She has been a Finalist in many AKC and USDAA National events and was the 2007 USDAA National Champion with “Rage”. She and Rage traveled to England on the 2010 IFCS World team winning a Team Relay Gold Medal and an Individual Gold Medal. Stephanie’s background in behavior and obedience has helped to shape her into a talented agility instructor who understands dog training as well as the mechanics of teaching agility. She utilizes positive training methods that combine her understanding of operant conditioning as well as practical dog training. Stephanie’s agility dogs have ranged from Boxers to Border Collies to Border Staffies. Stephanie currently competes in agility with her Border Collies “Vision” and “Keeper” and handles Border Collie “Motive”. Stephanie also has a puppy in training, “Promise”. Contact Stephanie at sspyr@gmail.com for lessons. Geri Hernandez has a deep love for animals and dogs in particular. She has immense experience with many facets of the “dog world”. She grew up in a household that bred, showed and trained various breeds. This education allowed her to become exceptionally talented at reading dogs and knowing exactly what they are thinking and what motivates them. This skill has allowed her to become quite an accomplished agility dog trainer in a very short period of time. Geri began agility in 2004 and very quickly began making a name for herself. Geri was the 2008 AKC National Champion and was a member of the AKC World Team in 2008 and 2009 with her Border Collie “Focus”. In 2014 Geri and her miniature poodle “Switch” were on the AKC European open team and the AKC World Team where the team took home the Gold Medal. Geri is currently training her newest up and coming agility and NoseWork super stars “Crafty” and “Favor”. Geri’s exceptional dog-training skills and her keen eye combine to make her an outstanding agility instructor. She is also a Certified Canine Nosework Instructor and a Canine Fitness Trainer. Contact Geri at agileimage10@gmail.com for lessons. Kathy Moore has been competing in obedience for over 25 years. An AKC obedience and rally judge for over 15 years, she has had a variety of breeds: Shetland Sheepdogs, Belgian Tervuren, Greyhound, Border Collies, Whippet, Silken Windhound and Golden Retrievers. Her number one Whippet and Hound for AKC Novice in 2006 won multiple High in Trials at all breed shows. Her first Border Collie received 2 obedience championships one in AKC and another in UKC. Her MACH Border Collie is currently showing in Utility B and Open B. She believes that a working dog is a happy dog that stays fit for life and that dogs love to learn just like people do. For class availability, contact Kathy at bogicharli@charter.net. 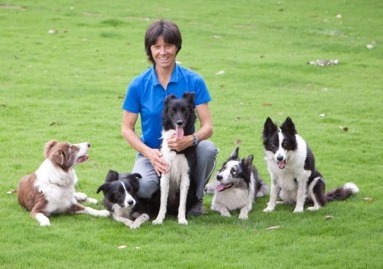 Lori has been training dogs in agility for over 20 years. She has titled her own dogs in agility, obedience, tracking, conformation, field work and rally obedience. 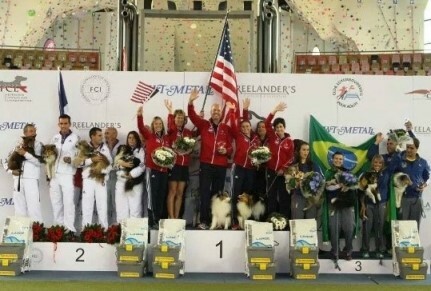 She has competed and earned placements in agility at the National level with four of her amazing Weimaraners. Lori specializes in bringing the most out of any breed dog. She promotes positive reinforcement based training. Truly having fun with your dog to get the best results is Lori’s philosophy! Lori is passionate about her dogs and agility. She is currently training and competing with her 5 year old Weimaraner, “Jif” and her four year old Border Collie, “Rumor”. Lori and her husband also share their life with “Zing”, an eight year old Weimaraner. Lysa has been involved in professionally training dogs since 1999. Since then she has trained 7 of her own agility dogs, several of which have competed and placed at National events including the Purina Dog Challenge. Each dog teaches us something new and she loves the challenge of making the client’s goals and the personality of the dog come together to make a cohesive relationship. She love working with the puppies and showing them the foundation skills in agility and basic obedience. She thrives on problem solving with dogs and behavior. Lysa currently competes in agility with her Labradors “Mischief” and “Mayhem” and has a puppy in training, “Wycked”. For class information please contact Lysa at lysa.knight@gmail.com.